I didn't know that you could buy glow in the dark embroidery floss. But you can! 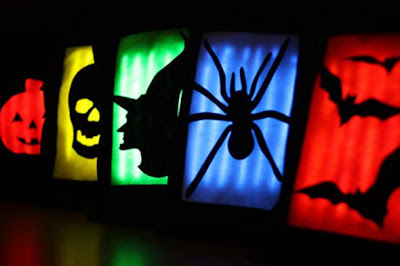 And Molly used it to create these fun glow in the dark spiderweb trick or treat bags. If I talk Ruby into being a skeleton, maybe I can find glow in the dark ribbon to make the ruffled skeleton with. 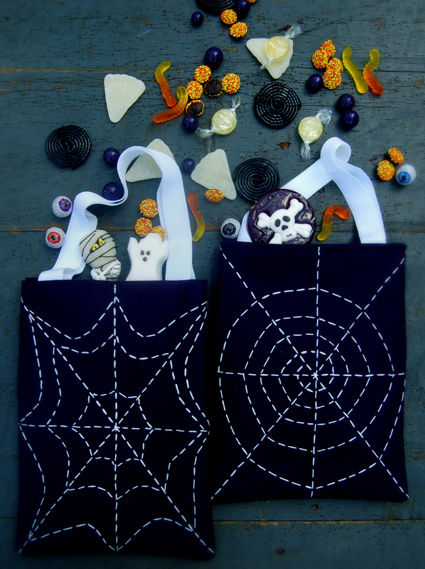 You can see the spiderweb trick or treat bag tutorial over on Purl Bee and check out my other favorite glow in the dark trick or treat bag, this one using glow sticks instead of glow in the dark embroidery thread.